Today's feature comes to us from The Outdoor Wire, our parent publication and her publisher/editor Jim Shepherd. 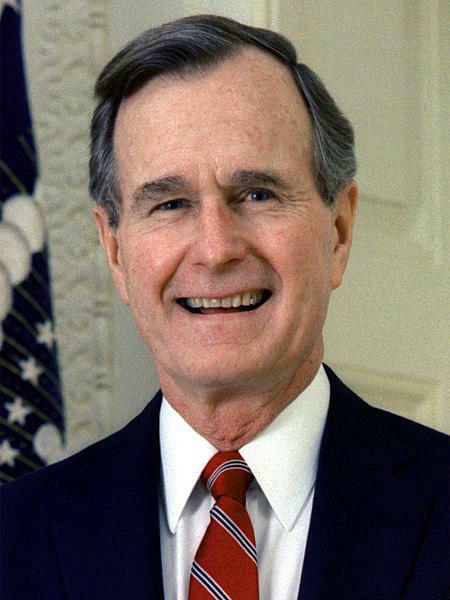 Later this morning, the nation will say goodbye to former President of the United States George Herbert Walker Bush. With his death, we lose another member of what has been referred to as our “greatest generation” those World War II veterans who not only fought a global war, they came home and built what has arguably been one of the greatest nations in history. The note and its admonition demonstrated two of Mr. Bush’s best qualities: valuing the worth of others, and a healthy ability to laugh at himself. After all, he used to recall that his mother had raised him not to have “big I” problems- to value others more than himself. Bush’s handling of that war was widely criticized at the time. Today, his handling of that conflict and the collapse of the Soviet Union have led some historians to say he will likely be considered the nation’s finest one-term president. Hs passing saddens many of us old enough to remember a younger, more vibrant Vice President Bush and his boss, Ronald Reagan. Being pretty new to the national news media at the time, I didn’t fully appreciate the unprecedented cooperation between political opponents. Today, we lose one of those vital links to a scarce commodity between politicians: civil discourse and a desire to achieve the greater good. As an industry, we should mourn the passage of our forty-first president because he, like the rest of his generation, realized the connections between man and nature. He was an outdoorsman and understood the circle of life. Mr. Bush lived through adversity, from World War II to the tragic loss of a child, but accepted it all without bitterness as a part of the process of living life to one’s potential. He kept going without losing his belief in man’s ability - and responsibility - to do good. “I think maybe people need to start thinking about that a bit more,” she told CNN, “following that set of values, not fighting with each other, agreeing to disagree, doing what we’re supposed to do, take care of each other…not be at odds with each other all the time. This morning, as the nation prepares its final goodbyes to George H.W. Bush, I believe her outlook would have Mr. Bush’s wholehearted support.